Marc is a graduate of the Ecole des Hautes Etudes Commerciales (HEC Paris). 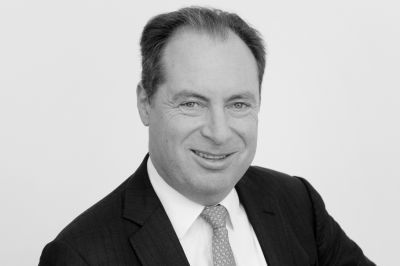 Before joining ADVYCE as Senior Partner, Marc worked for AT Kearney in Paris until 1994. In 1995 he founded the management consultancy Masai in Paris, which he developed into a global consulting company with 180 employees. From 2011 to 2014 he was Managing Director at goetzpartners in Munich, where he was responsible for operational excellence, supply chain management and consulting activities in China. Marc’s established clientele includes industrial groups as well as large medium-sized companies from all over Europe. As an expert in the field of Operational Excellence, he can refer to numerous publications and is a sought-after interview partner. In addition to his activities as a management consultant, Marc is very committed to Franco-German relations and is a musician, songwriter and music producer, among others for Munich Soul Project. On my father’s side I come from an entrepreneurial family and on my mother’s side from a family of musicians. I am married and have three daughters who, like me, grow up bilingual in German and French. I spent 15 years of my life in Paris, where I graduated from high school and studied. The ties there are still very strong, both privately and professionally. I enjoy spending my free time outdoors, sailing in summer and skiing in winter. I am very interested in music, be it as an active jazz pianist and keyboarder, but also as an eclectic listener of any kind of music. Enjoy music of any kind, whether played by yourself, in a concert or just canned. I have adopted the motto of my Grande Ecole: “Apprendre à oser”, which can be translated as “Learning to dare”.